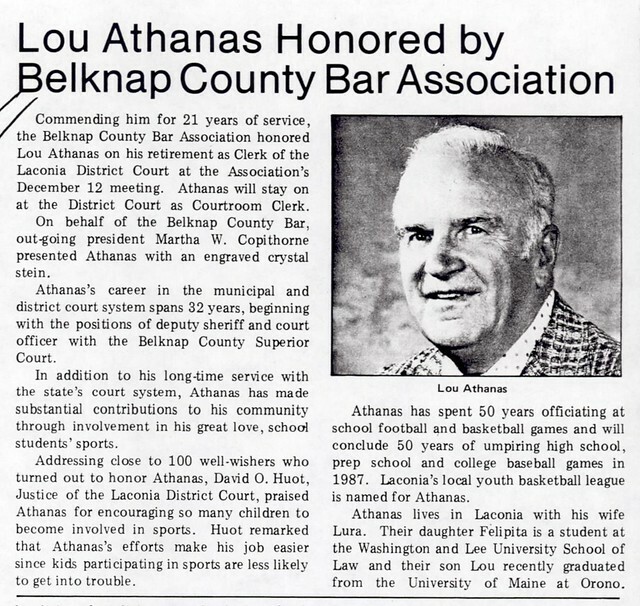 An outstanding three-sport athlete at Lowell High School, Lou Athanas continued on to an inspirational career as a collegiate and semi-pro athlete, coach, official and organizer of youth athletic events. 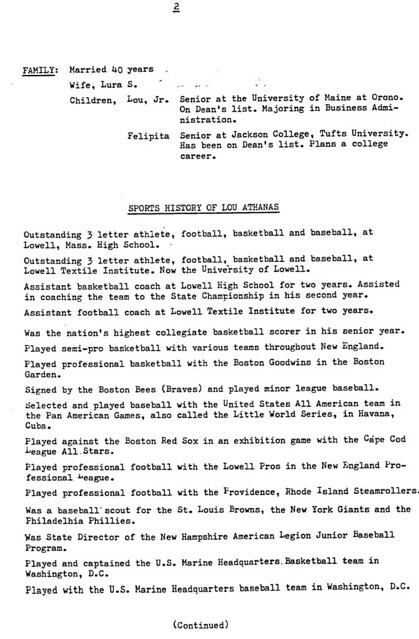 At Lowell High School, Lou was a standout football, basketball, and baseball player. 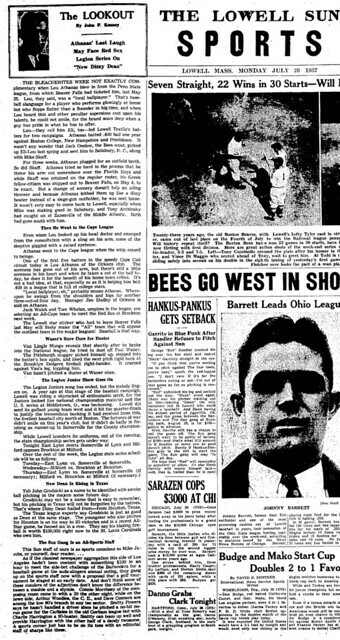 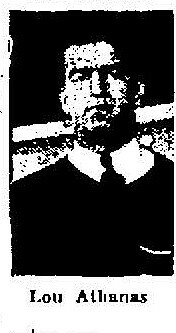 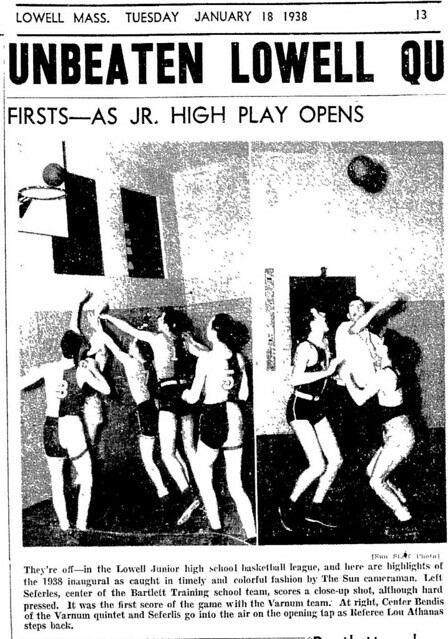 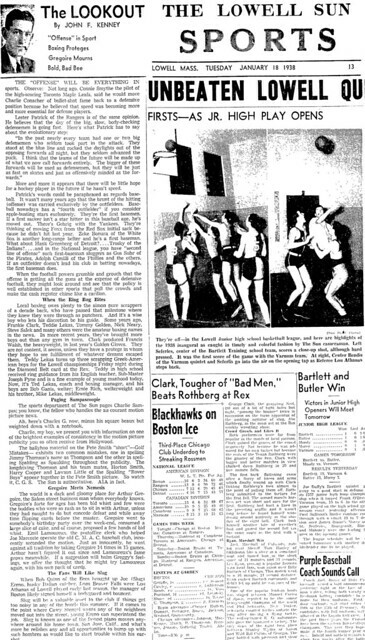 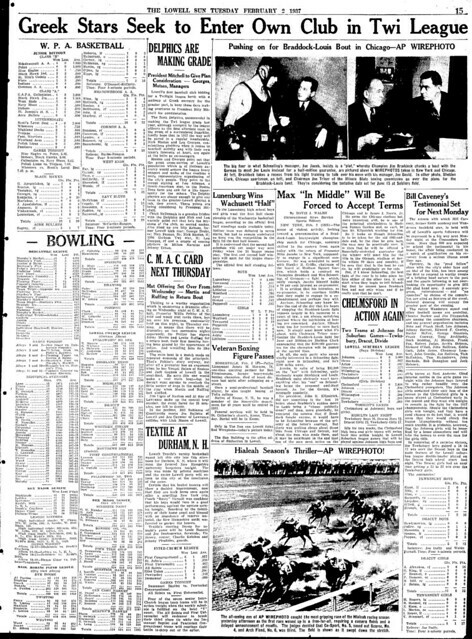 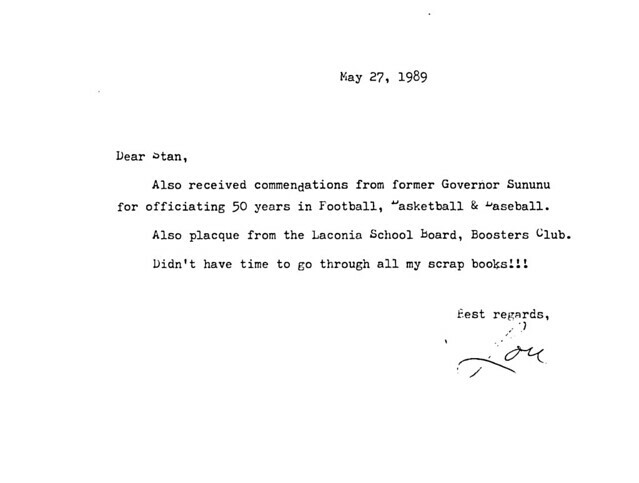 He was selected as a member of the Tech tournament All-star Team in 1932. 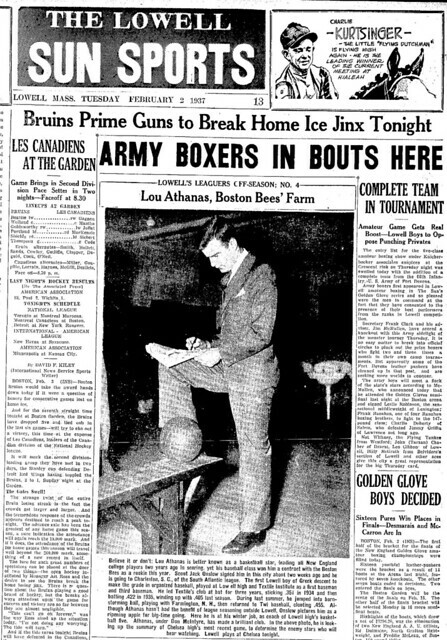 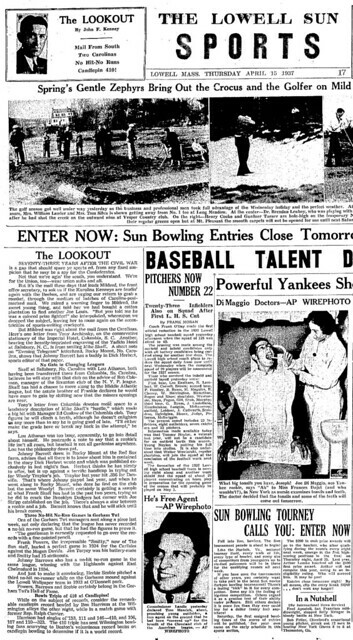 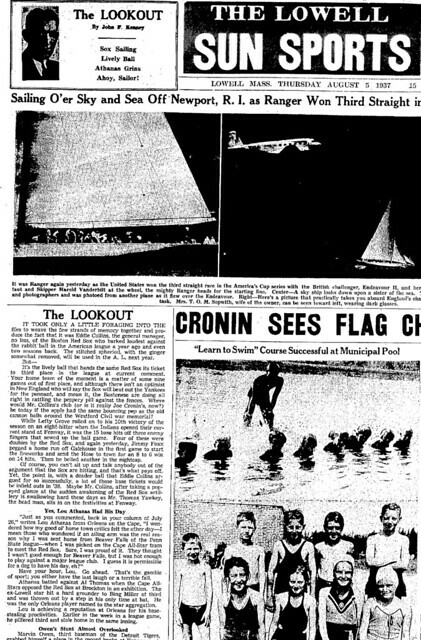 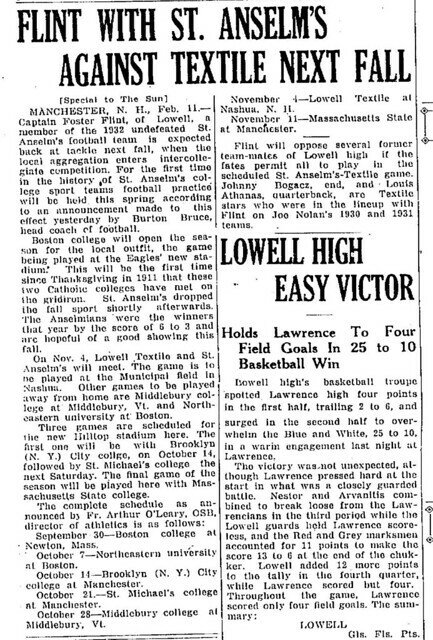 Lou continued his athletic exploits at Lowell Textile Institute where he played 4 years of football, basketball, and baseball from 1932–1936. 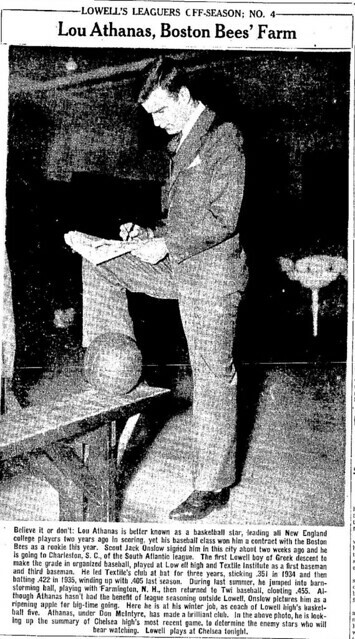 He culminated an outstanding career by leading the nation’s collegiate hoopsters in scoring during the 1935–1936 season. 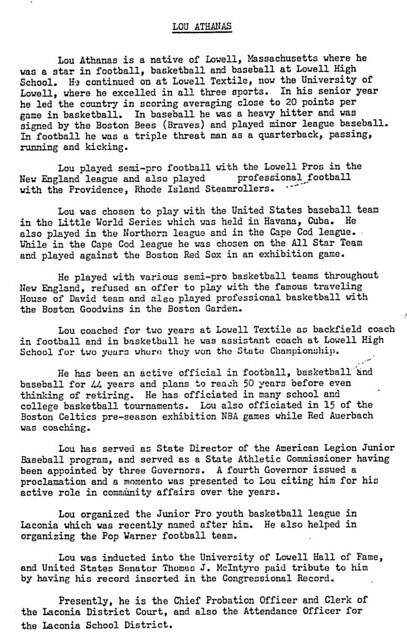 After college, Lou competed at the semi-pro level throughout New England in football, basketball, and baseball. 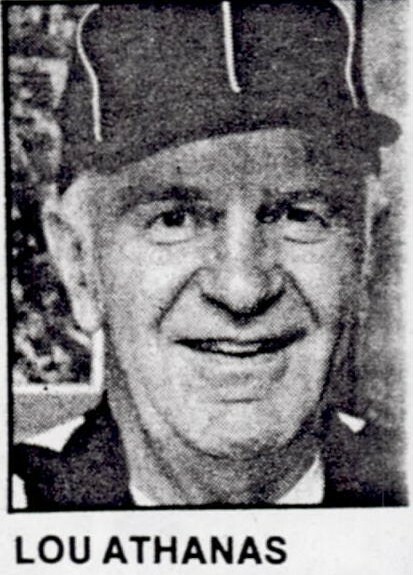 He was a member of the United States Baseball Team at the Pan American games in Havana, Cuba. 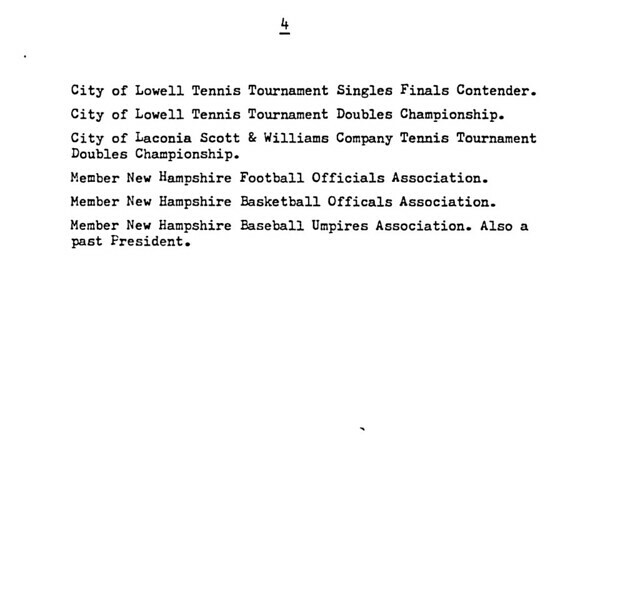 He showed his versatility by winning a City of Lowell tennis doubles championship. 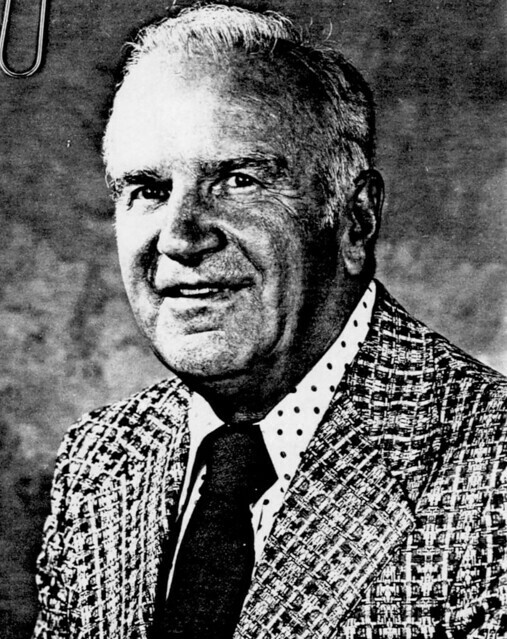 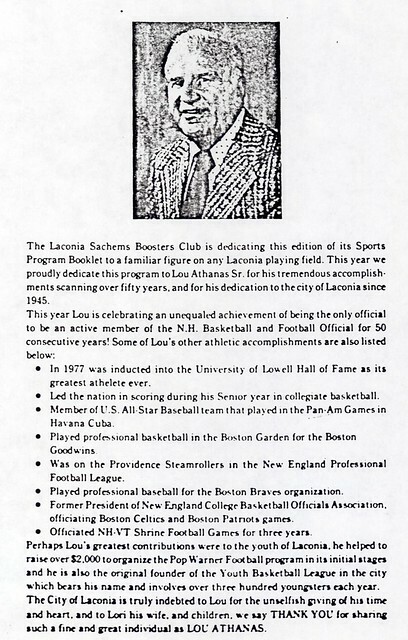 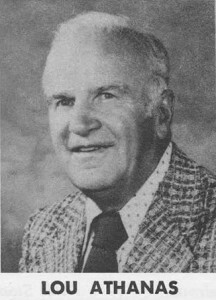 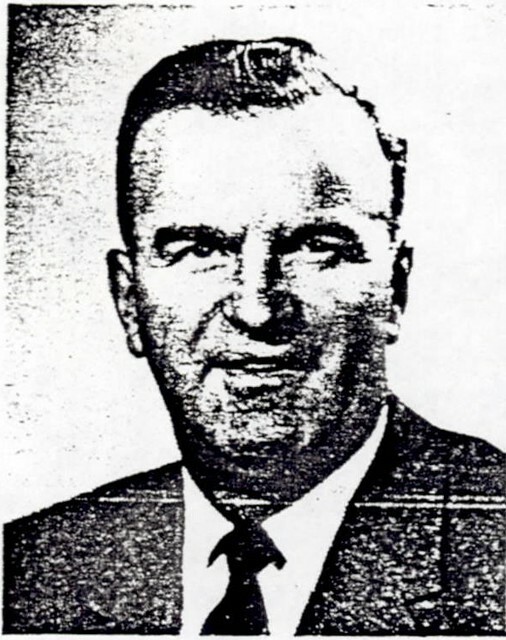 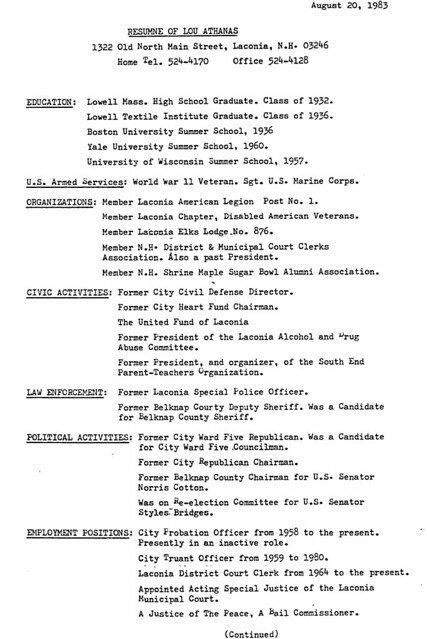 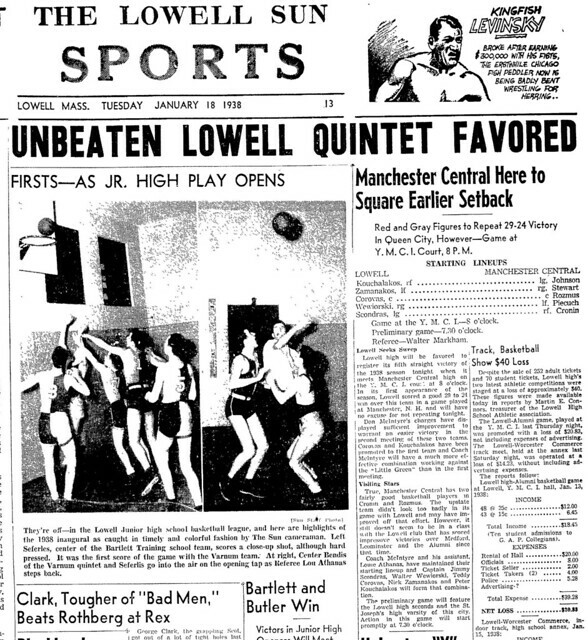 Lou coached briefly at both Lowell High School and Lowell Textile. 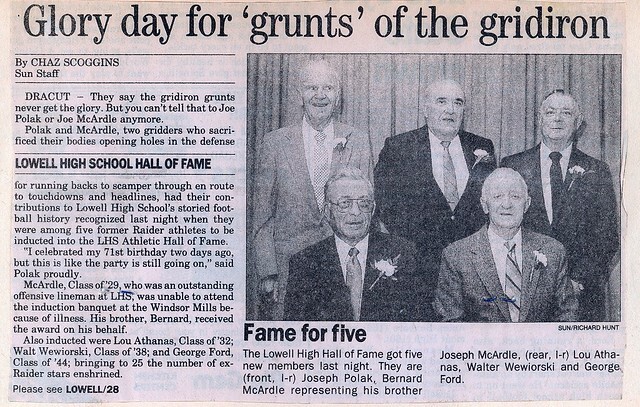 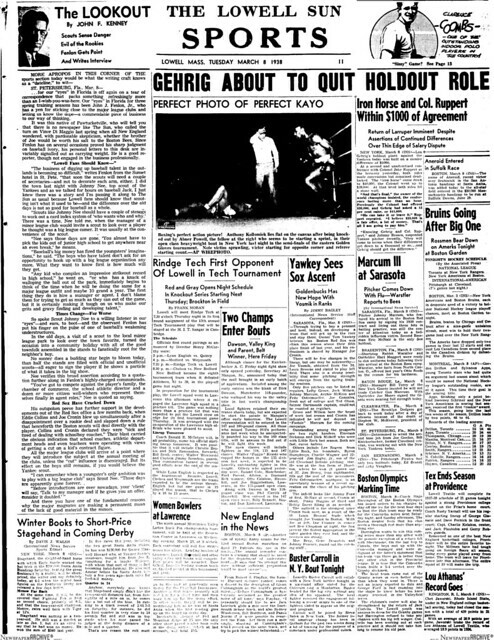 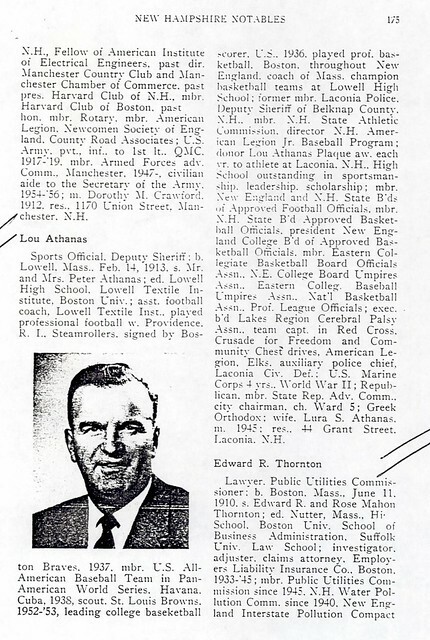 He was an assistant coach on Lowell High School’s State Championship Basketball Team in 1938. 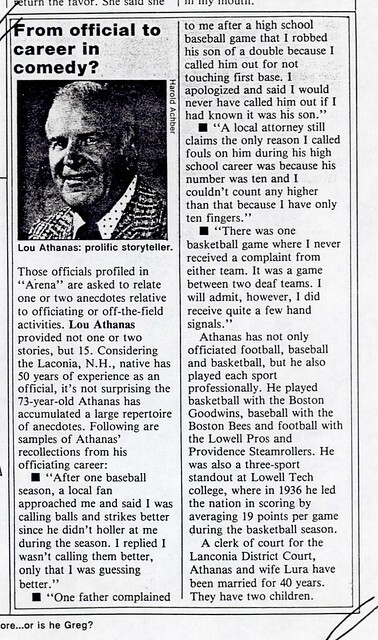 Lou also embarked on an incredible career of 50 years of officiating football, basketball, and baseball at the high school, prep, and collegiate levels. 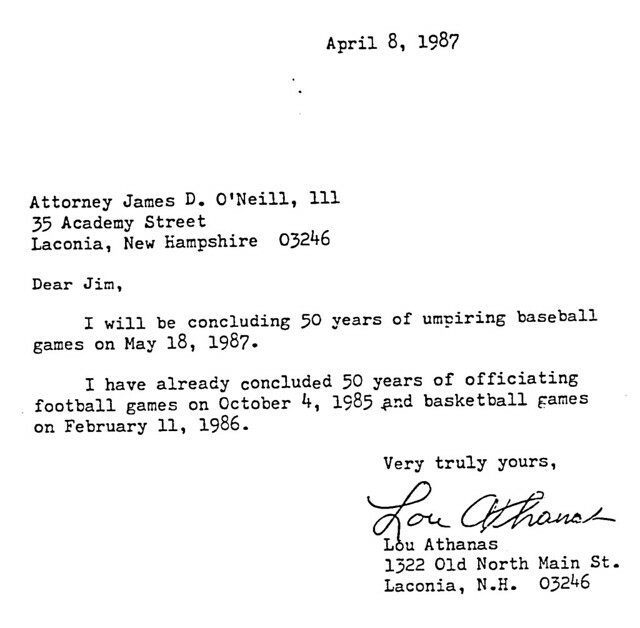 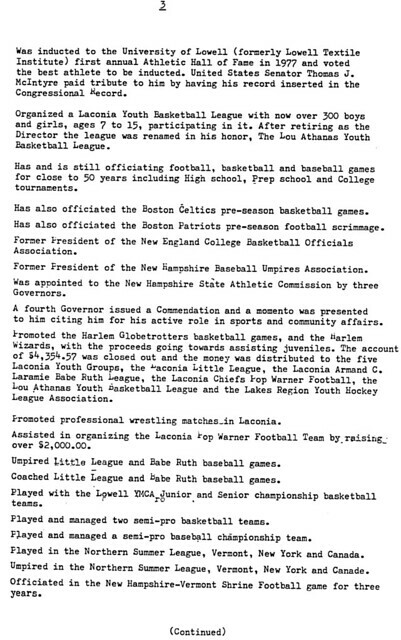 Finally, Lou dedicated countless hours to coaching, officiating, organizing, and fund raising for various youth athletic leagues in and around his hometown of Laconia, New Hampshire. 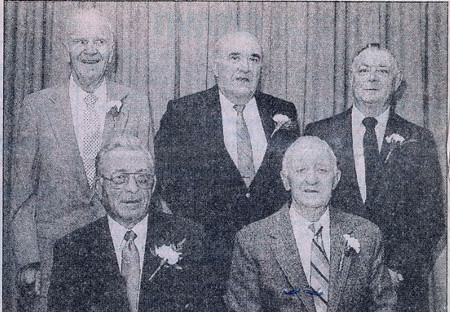 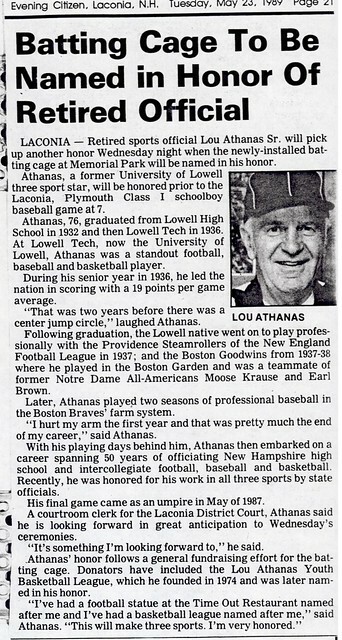 Fittingly, Lou Athanas was among the initial group of inductees into the University of Lowell Athletic Hall of Fame in 1977.